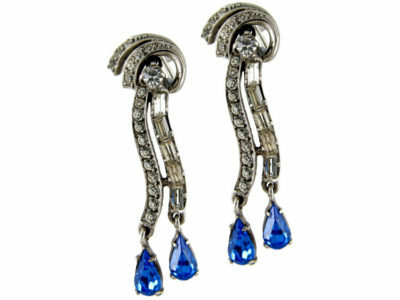 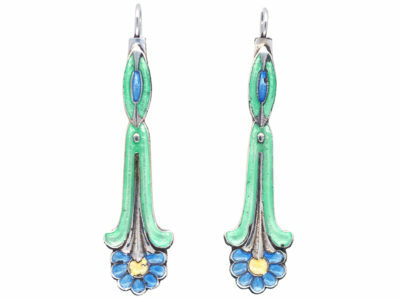 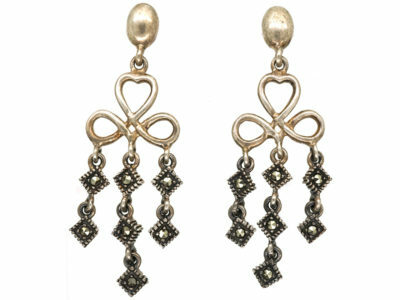 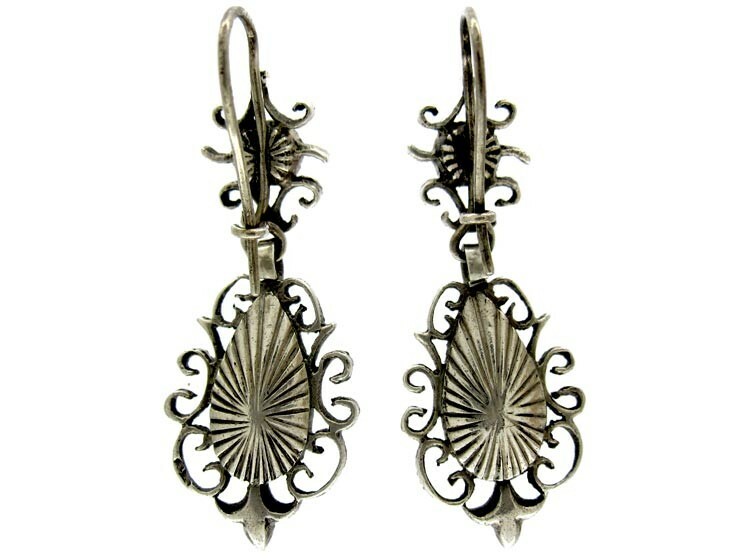 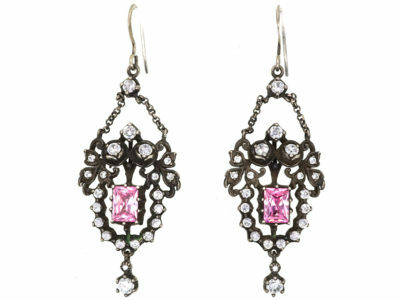 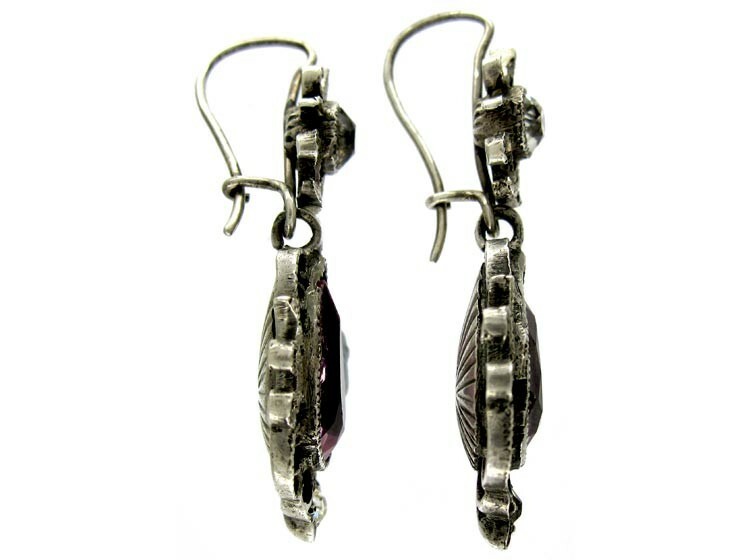 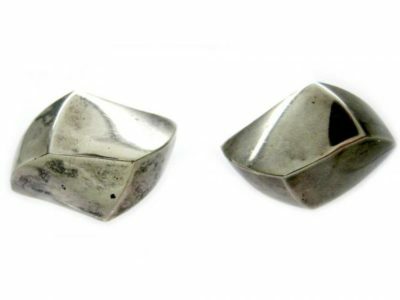 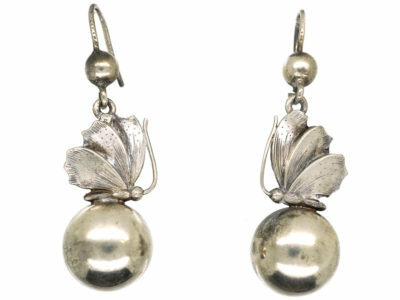 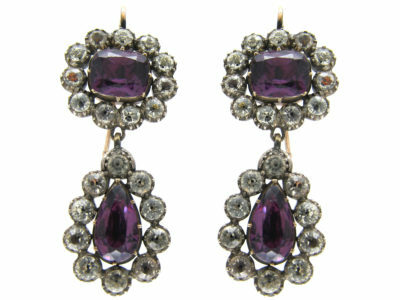 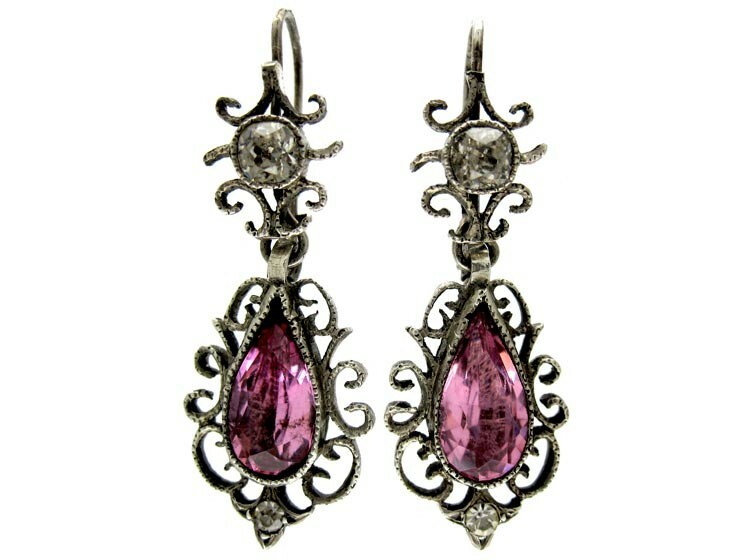 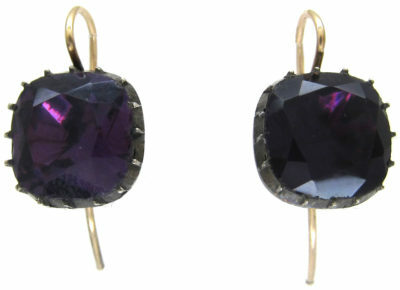 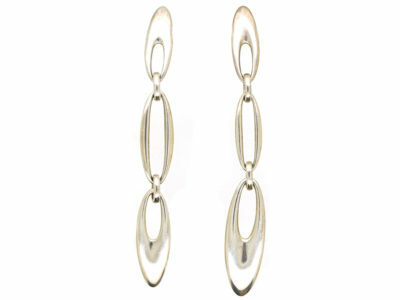 A very pretty pair of silver drop earrings that were made circa 1890-1910. 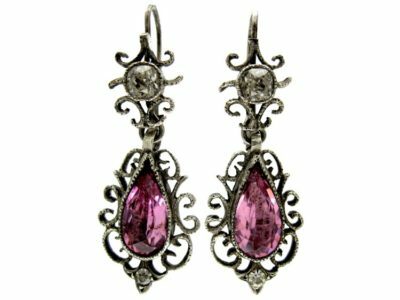 They have been set with white paste with a pear shaped pink paste in each one. 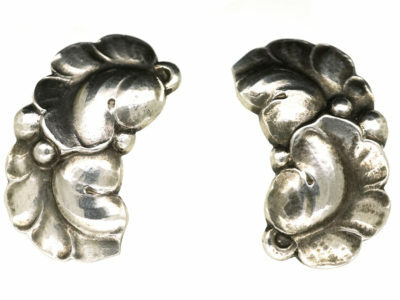 The backs have a lovely design on the silver. 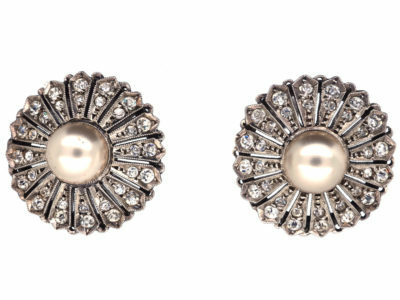 They look so pretty when worn.